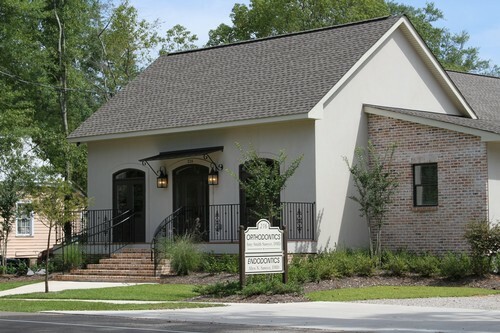 Welcome to Sawyer Endodontics, the specialty practice of Dr. Allen N. Sawyer. We are pleased that you have sought specialty care for your dental concerns. While all dentists are trained in dental school to perform root canals, there are many cases that present very challenging aspects, making treatment much more complicated. Your dentist has determined that your particular needs require the skill of an endodontist who has advanced training to give you a favorable outcome. We are highly committed to providing you with exceptional, state of the art care in a comfortable environment. We are dedicated to delivering endodontic services at the highest level. After thoroughly evaluating your particular situation, if we feel that you would be better served with either no endodontic therapy or an alternative treatment, we will gladly inform you prior to any treatment. Each endodontic case is unique, and every patient we treat deserves excellent care. Our promise to you is that we will work in conjunction with your dentist to determine a treatment approach that is right for you. Simply the best! From the moment you walk in until you leave, Dr. Sawyer and his staff are friendly, professional and best of all, painless. Dr.Sawyer and his staff are outstanding. They are efficient,very polite and will work around your schedules. I would recommend them to anyone. The assisting staff and doctor were very welcoming and professional. The receptionist exhibited skills acknowledging one’s needs for independence and respect. Fantastic care! Wonderful staff and Dr. Sawyer is excellent. Efficient and completely painless root canal procedure. Highly recommend. Dr. Sawyer and all of the staff were very polite and efficient in taking care of me. A+ team that I would recommend to anyone.